Wildlife here is always surprising, delivering strange and wonderful creatures in all shapes and colors. For most of our everyday wildlife, camouflage is king, concealing their whereabouts from hungry predators. Plants and flowers too, can be nondescript; a big showy display could result in being next on the dinner menu. If survival dictates a plain façade then explain away these beauties. 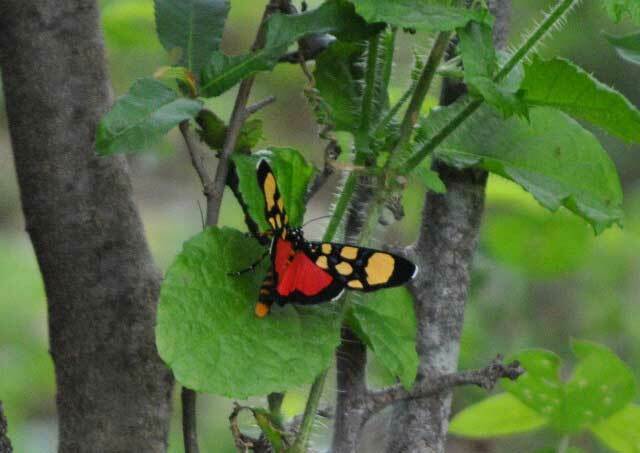 The False Tiger Moth comes flitting through the bush in eye-popping colors. The brightly colors serve as a warning, “eat me at your peril.” This moth is advertising his toxicity. Our Everyday wildlife includes an awful lot of birds. 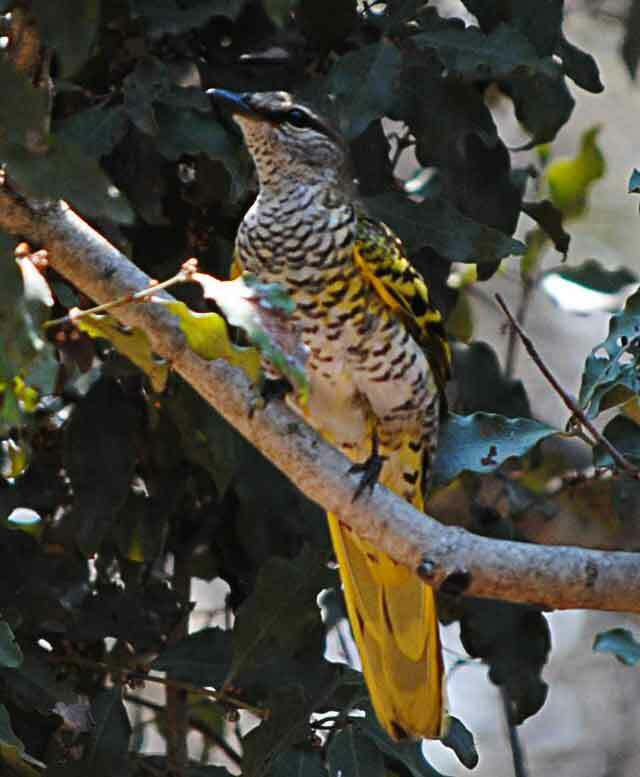 They’re everywhere but often hard to spot, like the female cuckoo shrike. Her sunny yellow, green and cream outfit with black accents is perfectly designed for invisibility. In the sun dappled and lightly shaded trees where the cuckoo shrikes make their home, she completely disappears. Everyday wildlife includes the myriads of plants that are the successful survivors in our world. 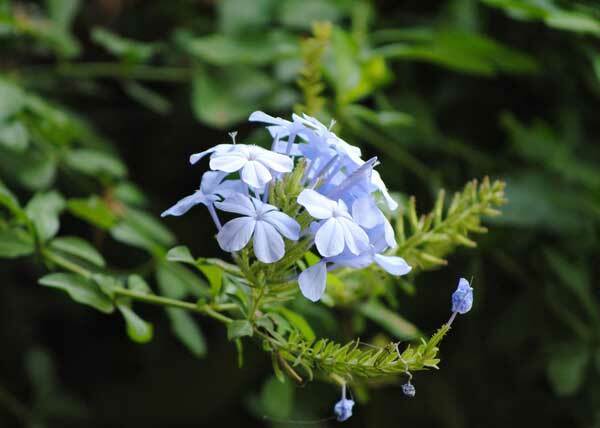 Nothing seems to eat the Plumbago; this vigorous shrub pops up everywhere in semi-shade, is it because of the blue flowers? The color blue can signify poisonous properties…or perhaps this plant simply tastes terrible to the animals that would eat it? 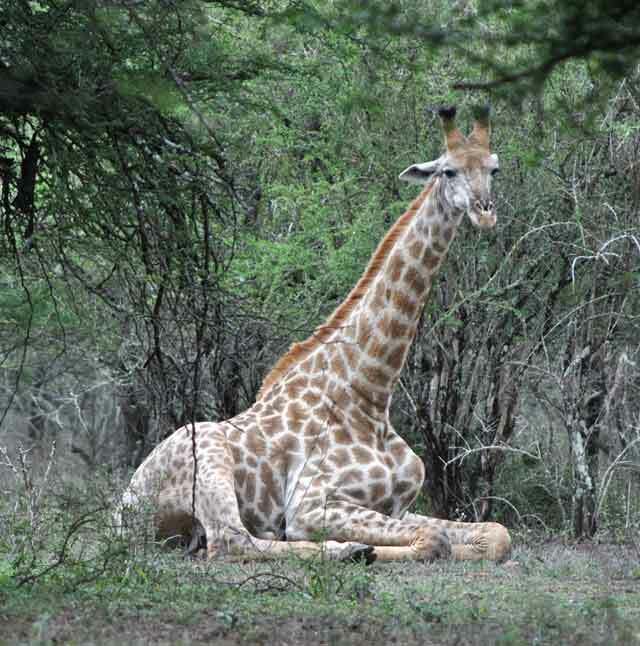 Giraffe Resting… Don’t Say Lying Down, Anymore… Say Resting!… Ask Google! Seeing this giraffe peacefully resting amongst the summer greenery, you wouldn’t think he could fade away too easily. 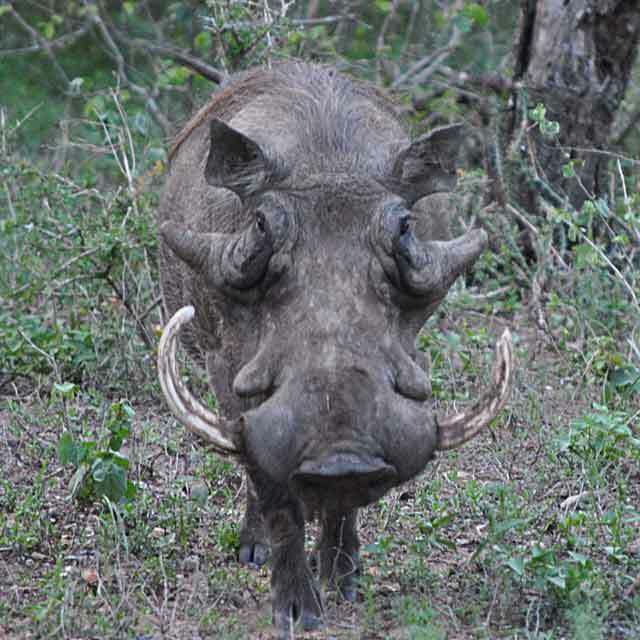 The green and grey of the bush contrasts quite nicely with his cream and chestnut coat – but like most everyday wildlife, he only has to unfold himself and wander a few paces into the bush to disappear completely. 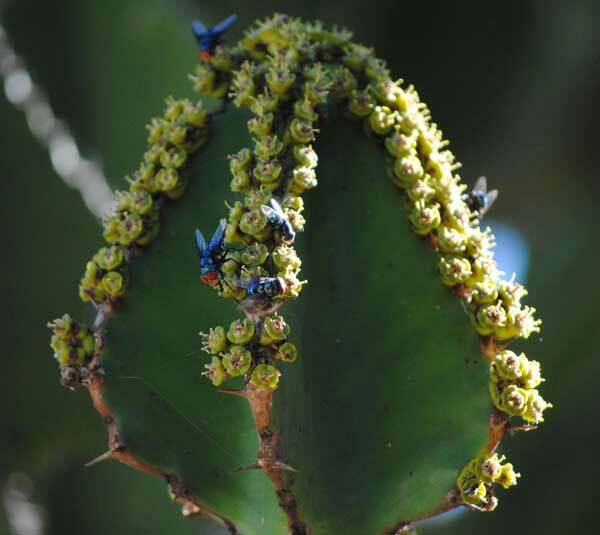 This is the tip of a branch of the Candelabra Tree (Euphorbia cooperi) in flower… Another plant that qualifies in the everyday wildlife category and attracts these bright blue and red flies. But the Candelabra tree doesn’t need to hide because it has the most poisonous latex of all the euphorbias. 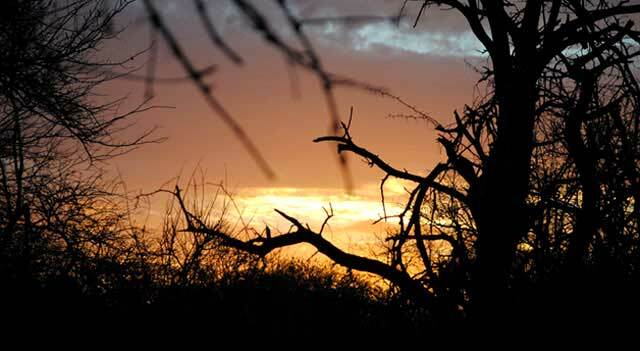 Just standing near a tree that is seeping latex will irritate the skin and throat but surprisingly, baboons and doves relish the flowers and fruit. Concerned readers may note that he has already broken one of those formidable tusks in a previous encounter! Happily, he was thinking he didn’t want to have his picture taken and decided to leave – stage right!